Kia ora koutou. Ko Charles taku ingoa. Nō Whakatū ahau. I grew up in the South Island and Wellington before my parents took my sister and me overseas aged 11 and 12 in 1981. I can only remember one school class where we learnt to sing ‘Oma rāpeti’ (Run rabbit) and when we lived in Dunedin back in the mid-70s my father was involved with Ōtākou marae and we spent many weekends there running around with the other kids in the kowhaiwhai flax, watching the hangi while men stood round with shovels adding earth to stop the steam escaping, learning to weave plates for our kai, listening to speeches in the wharenui where we dropped off to sleep on mattresses on the floor. Now I find myself in Spain where I have picked up the Spanish language as I’ve gone along and where I have been teaching English as a foreign language for the last 15 years. My father, Rev. Barry Olsen, speaks Māori and is currently translating an early Māori language newspaper Te Pipiwharauroa into English. 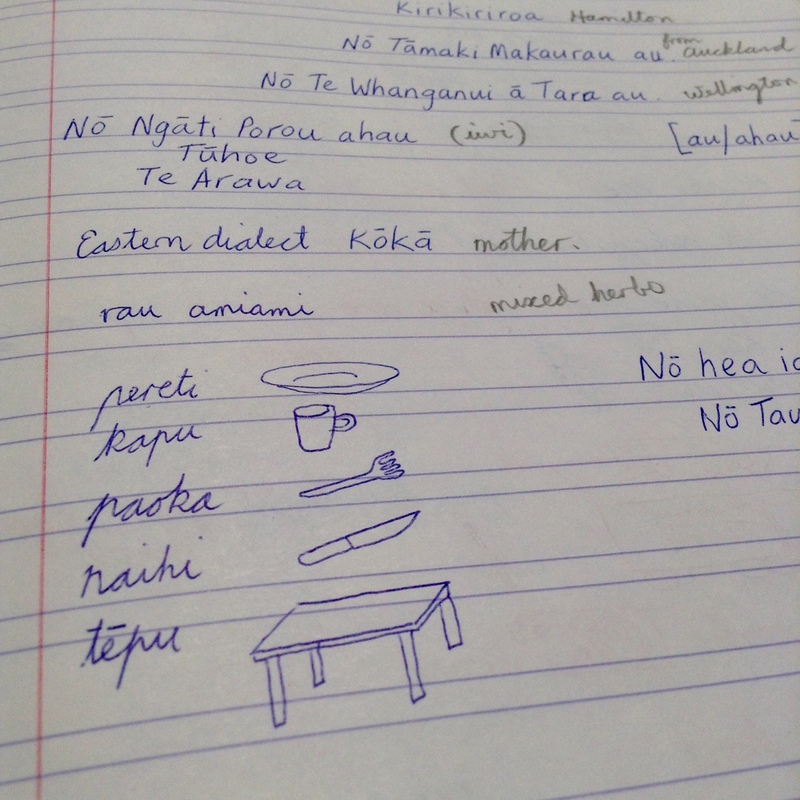 I think it is a mixture of all these elements as well as a feeling of wanting to connect with my New Zealand roots that has started me this year on learning Te Reo Māori. Having learnt Spanish, which is also a phonetic language with the same vowel sounds as Māori, makes pronouncing words much easier. And with my experience as a language teacher it should put me in good stead for learning another language. So I thought I would share a little of my journey in Māori as I progress, in the hope that it might help or encourage others. In January 2018 I found the Tōku Reo video series, which is based on the Te Whanake language programme prepared by Professor John Moorfield. 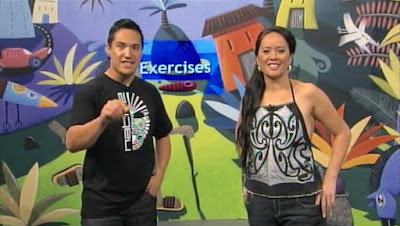 In the first series Raukura Huata and Raimona Peni introduce basic grammar points and new vocabulary with exercises to practice each language point, and short scenes with examples of real-life situations as well as conversations with fluent Te Reo Māori speakers. This last point is especially good as you practice listening for the words you’ve learnt. This is complimented by written exercises online to help you reinforce your learning between classes. I have downloaded the programmes to my ipad so I can watch them offline on the train to work. I have my notebook for writing up each class. For this I use the shorter 5-minute podcasts, which summarize the information from each programme. —The online Māori Dictionary is invaluable. 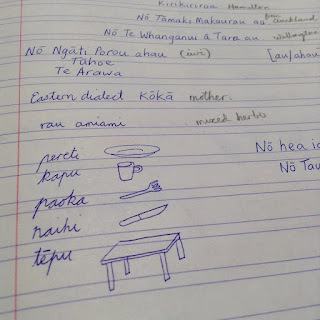 —Pinterest—try searching Te Reo Maori—It is full of visual resources. —There are lots of Māori language apps with games and activities in Māori and I have made a separate post with reviews of many of them here. —Te Taura Whiri i te Reo Māori / Māori Language Commission has a large range of downloadable and interactive digital resources. They also have links to some great Te reo Māori education resources. —And if you want to reach out to other learners there are active groups on social media like Facebook’s Māori 4 Grown Ups. The texts and photographs cannot be reproduced in part or whole without the previous permission of the author, Charles Olsen. ©2018 Todos los derechos reservados. Los textos ni las fotografías podrán ser reproducidos, ni total o parcialmente sin el permiso previo del autor, Charles Olsen. ©2018 Todos los derechos reservados. 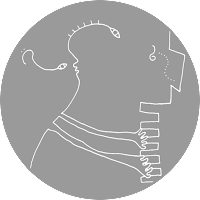 © 2016 Charles Olsen. Con la tecnología de Blogger.